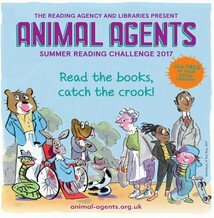 A launch event for 2017’s Summer Reading Challenge is to take place at Middlesbrough’s Central Library. The event will take place on Saturday, July 15, 12pm-4pm at the Central Library and is designed to encourage primary age children to read during the summer holidays. There will be a visit from illustrator Liz Million from 12pm-12.45pm, ukelele playing poet Paul Cookson will perform from 1pm-1.45pm and local author Peter Brunton will introduce his books from 2pm. There will also be a creative writing workshop, hosted by 6e publishing from 2pm-4pm. Every child who reads six books will be entered into a prize draw. At the event, families will be encourage to vote for their favourite titles on the Middlesbrough 100 Reads list. Once you've voted, you can enter a prize draw to win a fantastic book bundle (worth over £50)!